Bristol is a city of bridges, balloons, boats, Brunel and …..Bordeaux ? Well we can bring the Bordeaux ! , so whether your wine tasting in Bristol is an excuse to catch up with friends or as corporate entertainment for clients or team building with colleagues we’ll have a wine tasting package to suit you. We have a number of different wine tastings and formats from pure entertainment to educational, but the most important element is having fun. We also run regular wine courses in Bristol which are tastings that are more educational for those who want to learn in a fun environment, see details below. Our open dated vouchers make the perfect gift. All from ThirtyFifty the award winning tasting company. For more information or to organise a wine tasting contact us and set a date! 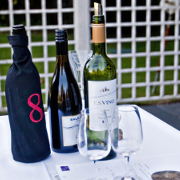 If you are looking to go out for your wine tasting we have worked with a number of venues in Bristol that we are happy to recommend. The list below highlights our most popular wine tasting venues in Bristol, to see our full list of venues across the country please go to our venues page. Choose from our One Day Wine Course or our Evening events. These tastings are more educational but still fun to attend. They make the perfect gift for wine lovers. Numbers are limited to 18 people. Please arrive by 10.15am for a prompt 10.30am start. The day is 6 hours long finishing at 4.30pm. A three course meal is included within the price. Numbers are limited to 25 places.